As developers worldwide have adopted the powerful Ruby on Rails web framework, many have fallen victim to common mistakes that reduce code quality, performance, reliability, stability, scalability, and maintainability. 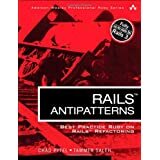 Rails™ AntiPatterns identifies these widespread Rails code and design problems, explains why they’re bad and why they happen—and shows exactly what to do instead. 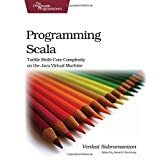 The book is organized into concise, modular chapters—each outlines a single common AntiPattern and offers detailed, cookbook-style code solutions that were previously difficult or impossible to find. Leading Rails developers Chad Pytel and Tammer Saleh also offer specific guidance for refactoring existing bad code or design to reflect sound object-oriented principles and established Rails best practices. With their help, developers, architects, and testers can dramatically improve new and existing applications, avoid future problems, and establish superior Rails coding standards throughout their organizations. is the right way to do such a things? Does he really recommends the following query to improve performance and fix scalability issues? If you want to kill a few hours, you may check it out, but I will not recommend this book to my friends.